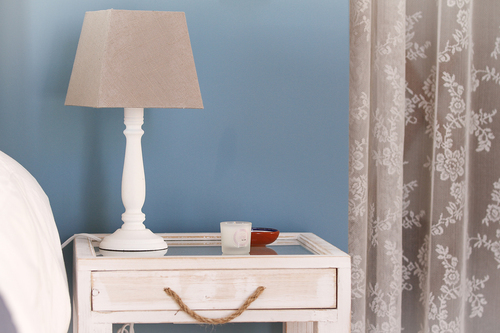 High quality round tent named Tejo, decorated in shades of blue inspired on the Tagus river. 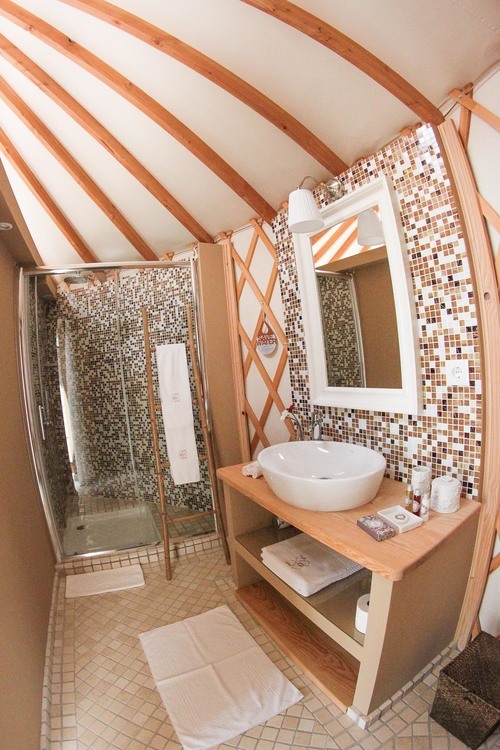 This yurt consists of a comfortable double bed, a small sitting area with wardrobe, a modern bathroom, and a private outdoor terrace. 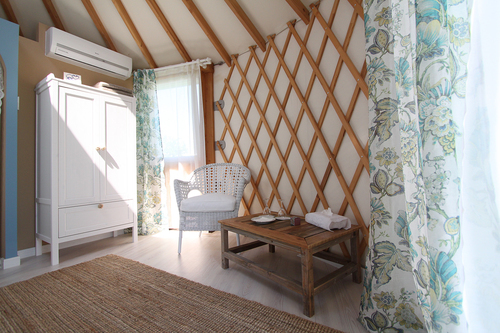 Stay in this beautiful Quinta M and live moments of pure relaxation in harmony with nature. Upon request this bedroom can have the double bed replace by 2 single beds.